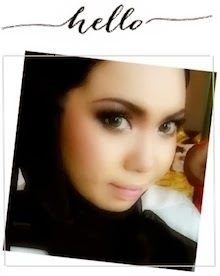 Shazwani Hamid's Blog: I'm happy but I am not! I'm happy but I am not! The bad news is, yesterday I received a Poslaju note. It stated there, I need to get my 'stuff' at the nearest post office.. I was sooo excited about it! 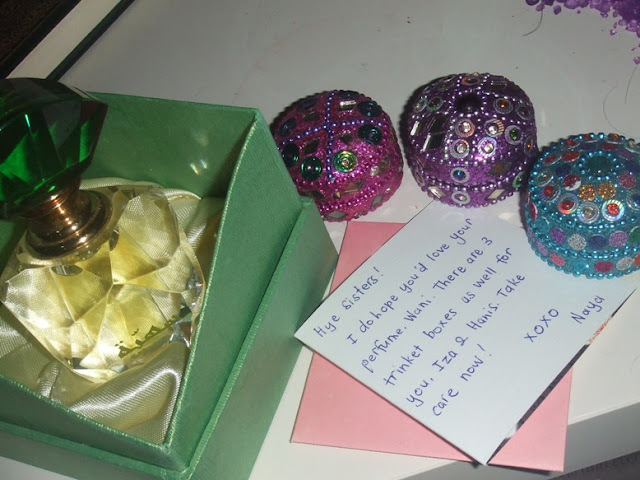 I thought it was the perfume that I ordered from kak Naya from Bahrain. 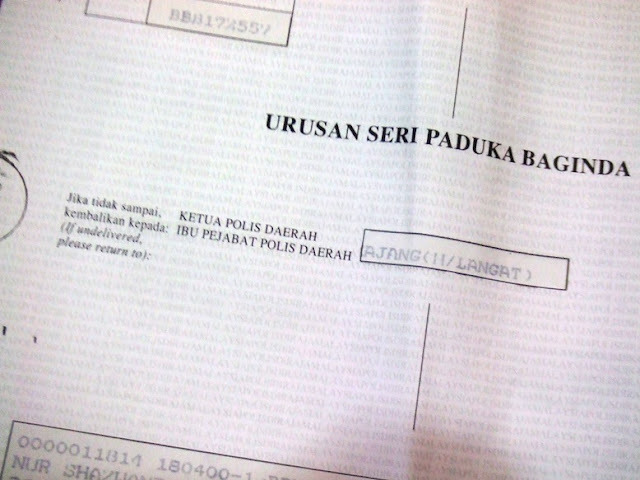 So I went to the post office to get it larh..
And to my dismay, when I first hold the letter, I saw the word 'Urusan Seri Paduka Baginda', 'Ketua Polis Daerah',etc. It was a jolt for me! I didn't know what did I do wrong! So I hurriedly open the letter. ..and.. Hmph. It was a summon letter. Speeding. haha. The perfume is truly unique! The shape of the bottle, and the vintage crystal glass, the size of it,etc. It looks like a potion or poison to me..hehe.. It's great doing business with you! Friends Like You Make Life "Sparkle"